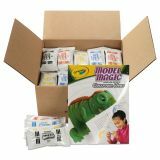 Crayola Model Magic Modeling Compound, 1 oz each packet Assorted, 6 lbs. 13 oz - Classpack contains white, red, blue and yellow 1 oz. packs. Primary colors can be mixed completely for new colors or can be mixed part-way for a marbleized look. Pouches can be given to students for easy quantity control. 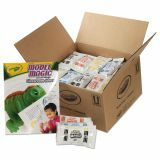 Great for students to take home for homework projects. Pouches allow the teacher to open the exact amount required resulting in less waste. Easy classroom setup. 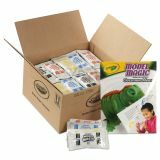 Includes a free Classroom lesson plan booklet filled with six colorful pages of great ideas on how to use Model Magic in your classroom. 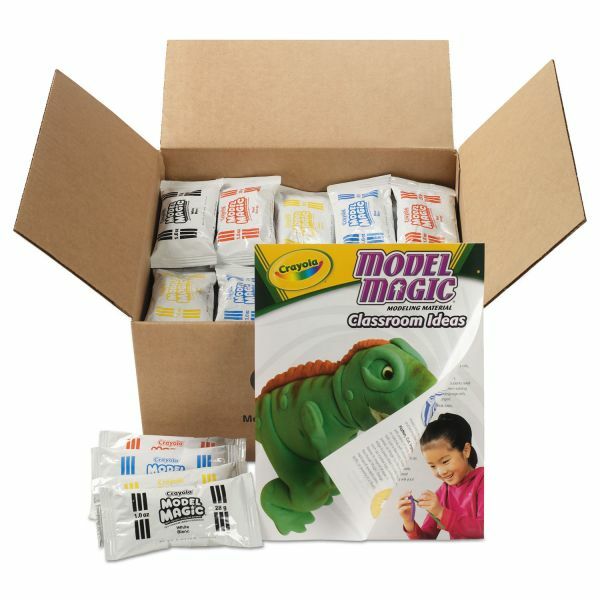 Great for science projects, dioramas or anywhere you want to teach in 3D. No prep time needed! Just open the freshness pouches and start shaping.